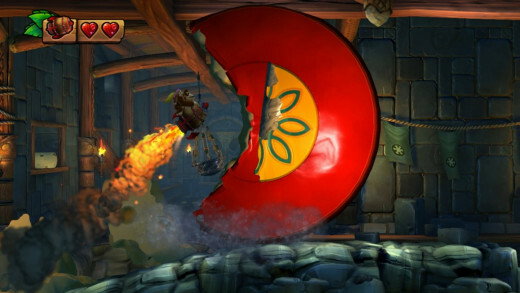 Considering that Donkey Kong Country Returns is in my top 5 platformers of the last generation, Tropical Freeze had a bar to reach with me that was as high as a jungle canopy. Instead of resting on their laurels, Retro upped the ante by introducing a striking new aesthetic and two new playable characters, Tropical Freeze manages to not only match the previous game’s quality, but surpass it. Vikings have invaded DK Island, bringing with them a chilling winter storm that blankets the Kong’s jungle abode in chilly permafrost. 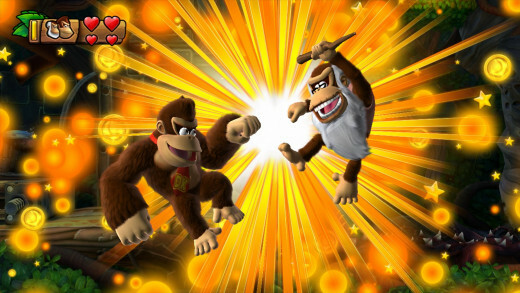 Donkey and his pal Diddy recruit two friends in the fight: the returning Dixie Kong and Cranky Kong, who’s playable for the first time. All three primates bring a unique talent to the table. 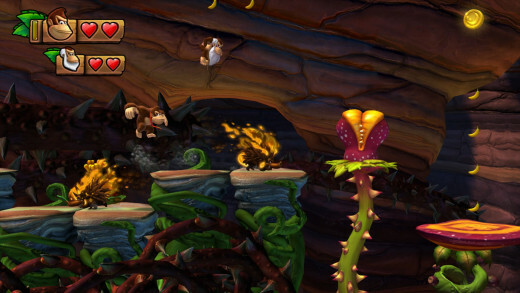 Like in DKC: Returns, Diddy’s jetpack let’s DK maintain a brief hover during jumps. Dixie whips her ponytail to provide what’s essentially a double-jump. Cranky channels a certain billionaire duck by jumping on his cane pogo style to safely cross spiked platforms. Special team moves can clear the screen of baddies which is a useful, if not forgettable, ability. Choosing the right Kong is important and adds a very light element of strategy. I found Dixie to be the preferred simian for most situations as her added mid-air boost was a true lifesaver. As much as I love Cranky, he took a backseat to his younger cohorts most of the time. He’ll have to be dusted off to reach secrets surrounded by thorns, but when crossing them isn’t required, it’s generally easier to just avoid spikes altogether using Diddy or Dixie. The Norse elements seemed like an odd addition at first, but they ended up adding a crisp breath of fresh air. Island huts and palm trees have been replaced by beautiful windmills and Dutch-style villages. Not everything has frozen over, though. There are interesting new jungles as well as a particularly awesome world inspired by the African Serengeti. 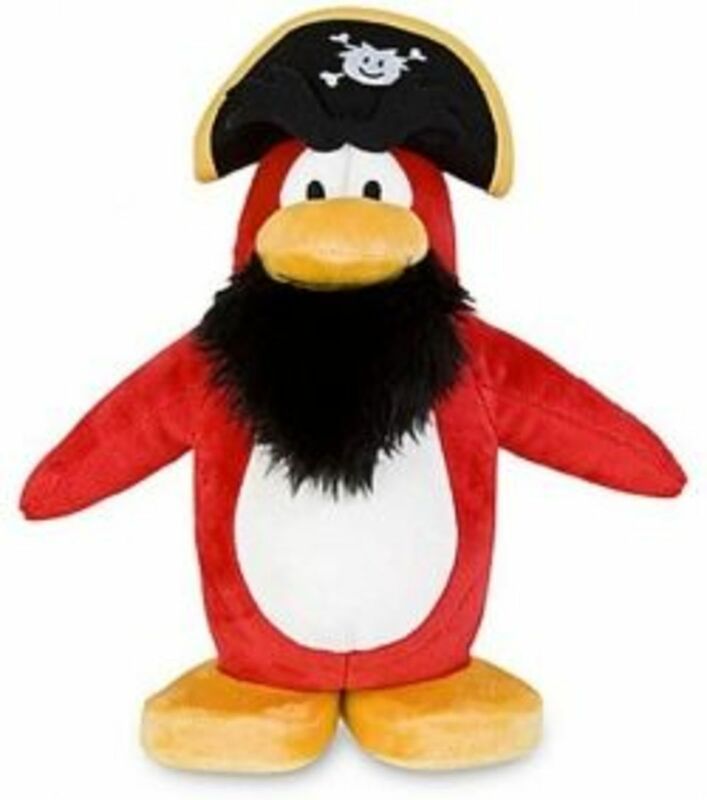 New enemies such as patrolling penguins, grumpy owls, chubby hares, as well as the many world-unique foes have great designs that range from adorable to humorously goofy. 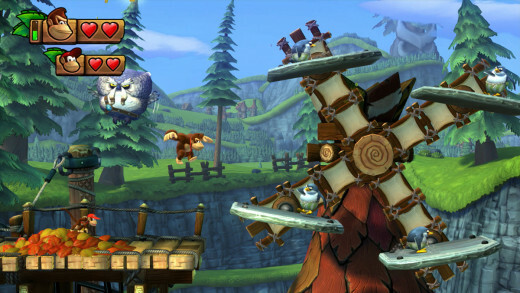 Tropical Freeze is filled with so many wonderful ideas and never stops introducing new, creative twists. Stages now have multiple exits that lead to hidden stages a la Super Mario World, providing another reason to replay zones in addition to collecting Kong letters and puzzle pieces. The stylish silhouette stages return with the most impressive being a late level that has players escaping a terrifying avalanche by platforming quickly on falling wreckage. It’s truly a sight to behold. One stage throws you inside of a giant woodwind instrument that propels players upward with each note. Another favorite is one of the uber-difficult rocket barrel rides that features penguin-controlled giant robot relentlessly pursuing you through a fruit processing factory. Platforming is still satisfyingly tight with the GamePad and Pro Controller being the preferred input methods. The Wiimote/Nunchuck works well, but the shake controls aren't responsive enough for stages demanding lightning-quick reactions. New camera angles such as full 360 degree views of barrel launches and an almost isometric view during mine cart and rocket stages add a more dynamic look to the action. Speaking of those the notorious mine cart stages, they have their own share of fantastic (and challenging) shake-ups. One of my favorites has DK riding on a log through a lakeside lumber mill that test players by having them carefully dive underwater to dodge obstacles and ends with escaping a giant buzz saw that carves up platforms as you go, forcing you to basically react on instinct. It's an absolute blast. Underwater zones make a big comeback and thankfully swimming controls far better than in the SNES games. 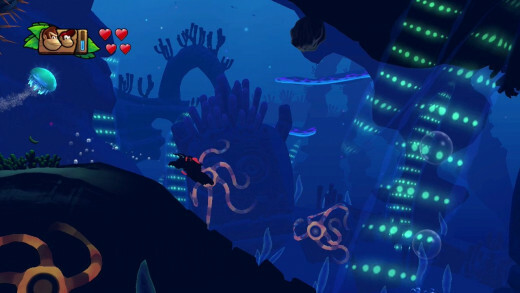 The rest of the game’s creativeness is present, with monstrous sea serpents and paths that can only be explored using certain characters. 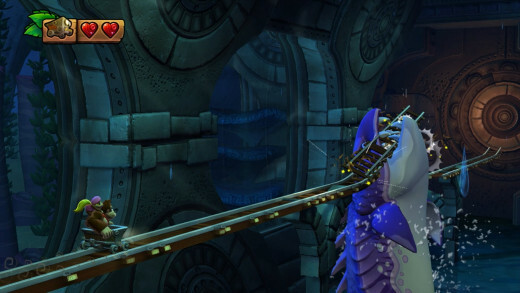 An especially intense level has players dodging the tentacles of a giant octopus the whole time. I only have one gripe: Where is Enguarde the Swordfish? He was a vital undersea ally in the old games so reintroducing him here seems like the perfect lay-up. With Rambi the Rhino being the only animal buddy (again), Enguarde would have been a welcome addition if nothing else for variety's sake. DKC: Returns was known for its surprising difficulty and Tropical Freeze is just as unrelenting, if not more so. While it’s not too hard to quickly accumulate a ton of lives, you'll burn through them at nearly the same rate. This is doubly true for co-op, not only because you and your partner will require in-sync, platforming finesse, but failing a stage costs two lives instead of one. 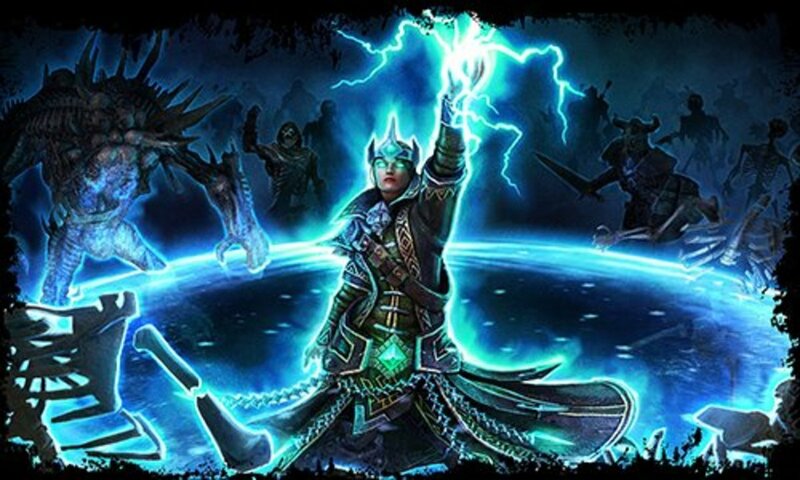 Boss fights are well-designed, brutal affairs that will put even the most skilled players to the test. Bosses take tons of hits to defeat and change up their assaults twice per battle, keeping you on edge the entire time. The arduous final boss fight is easily the hardest in the series’ history. With constant droughts between quality Wii U titles, there’s little reason for owners not to have Tropical Freeze at the ready. The single-player is fantastic and co-op is equally enjoyable. The difficulty is tough but fair and the numerous secrets guarantee a lengthy shelf life. It's not the system seller the Wii U desperately needs, but Donkey Kong's frosty new outing provides owners with yet another bragging right for their beleaguered console. @Johne666 Thanks, though I can't take credit for my structure. I've borrowed it from Game Informer's review style because that's always been my favorite. 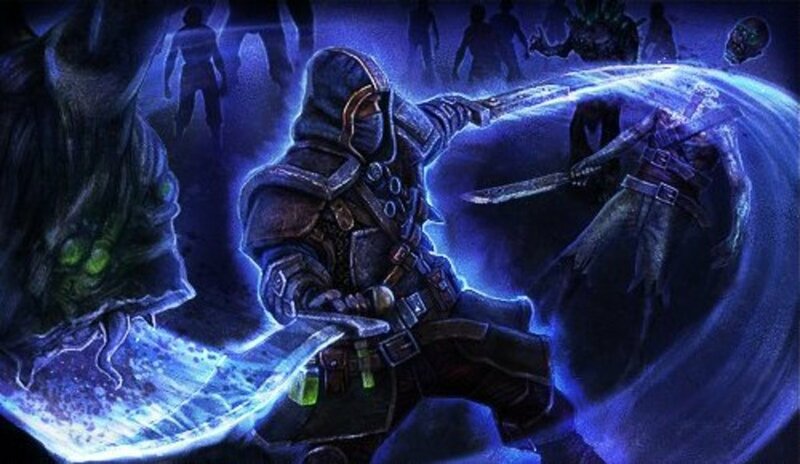 I've been on Hubpages about 2 years now and have been reviewing games for about almost 4. Smashing review. The original Donkey Kong Country Returns was one of the most difficult games I've played, so I'm glad that the difficulty level was adjusted. Those mine cart levels are still a pain right enough. I'm not ashamed to admit it either that the second boss took me more than a week to beat either. Or maybe I should be ashamed about that! This is another title that makes me want Nintendo to stop making consoles so that they can put their games on others. DKC Tropical Freeze sounds amazing and proves platforming isn't dead, but I'm not willing to buy another console just to crack this game out for an hour. A shame because it's one I'd get right after reading this review if I owned a Wii U. 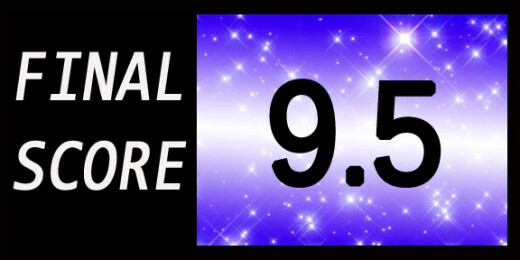 Great review once again Sean Valjean! Voted up, useful, awesome and interesting!